We finally have a President that respects our Military. The fact is, President Trump appreciates the courageous people who give their lives for the homeland. That is why during his powerful speech today was something special! Also, President Trump has donated his salary each quarter to different federal agencies. President Donald Trump donated his first-quarter 2018 salary to the Department of Veterans Affairs. That’s because POTUS is very caring and compassionate and he honors our Veterans. Anything that makes him look like the good person that he is will be ignored by those brood of vipers. I remember in Brandon Straka’s #walkaway video he shared how the media will distort what POTUS says to try to make him look bad. God bless POTUS for his generosity and our brave Military. 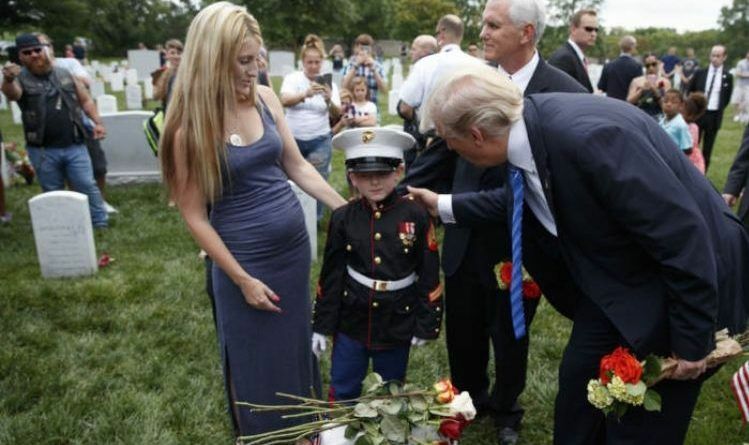 And as always the mainstream media ignore this story because it shows what kind of man our President really is! Let’s share this and show to the world that we finally have a President that is working only to Make America Great Again!